Hello there, my sweet Blushers! Love can drive you crazy, at times, but it also brings out the best in you. 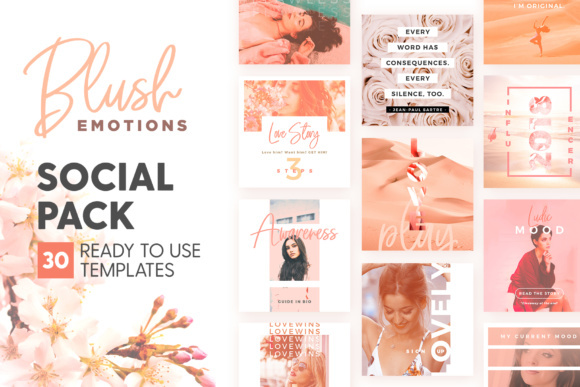 Blush Emotions Social 4×4 Pack is just about those candid, warm, new, butterflies-in-your-stomach feelings you get once you meet your summer crush. Don’t be afraid to fall in love, falling in love will not hurt you (not being able to love should scare you, actually! ), just embrace those intangible emotions and flow with them – you’ll find a new world, trust me! 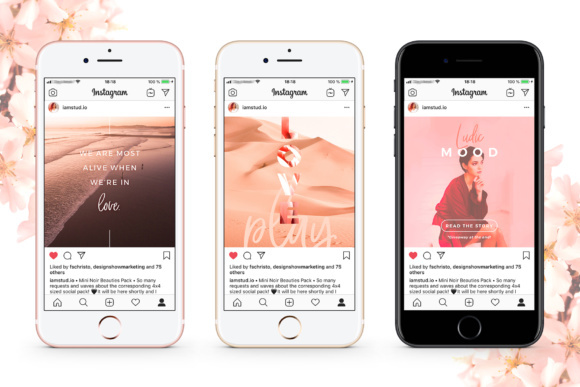 There are 30 Social Posts Design Options to choose from and apply to your social media campaign, whether you are a lifestyle coach, a mindfulness blogger, a fresh influencer, a spiritual traveler or a creative entrepreneur. 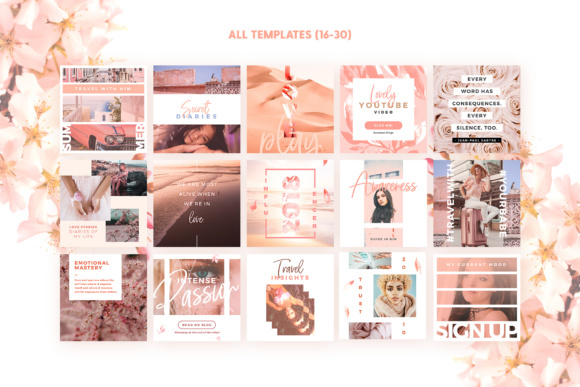 Take these Love-infused Templates with you anytime and don’t forget to share your blushy-flushy feelings! SOFTWARE: Yes, you’ll need Photoshop CS6 or higher and a basic knowledge of it. The Quick Guide included in the pack will surely help you out! – Retina Ready – Yoga Inspired graphics on all HiDPI screen. – Google Fonts & Free Fonts – Free for commercial and personal use. 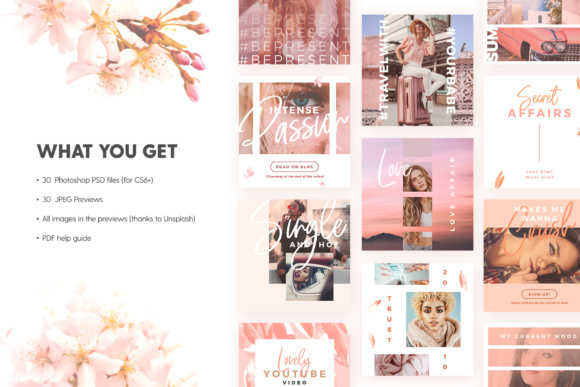 – All images included – Courtesy of Unsplash. – Smart Objects- Easy click-drag-drop-save maneuver for photo replacements. 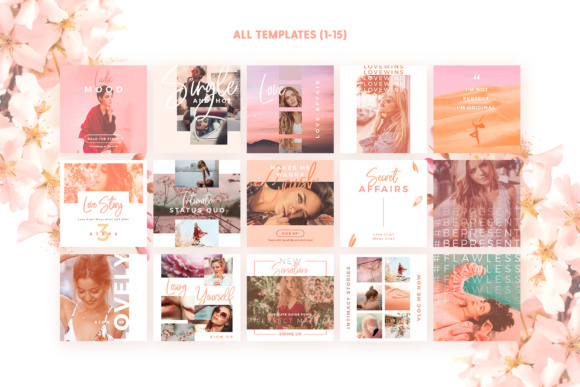 – Highly Organized – Highlighted layers and group of layers. – Printing Options – Can be exported and ready for print, too, if treated as cards. – 30 JPEG Previews for fast document management and ready-to-use intentions. – All images in the previews, thanks to Unsplash! – PDF Help Guide that will assist you with easy photo replacements tips + free fonts sources. 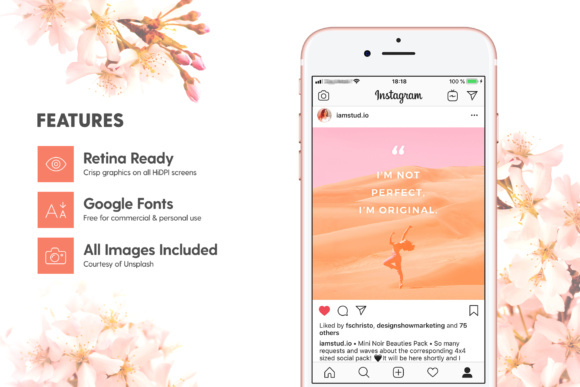 SECONDARY USAGE: social media posts, blogs, blog banners, marketing campaigns, branding, wall art, logos, quotes, blogs, website. Actually any place you love!